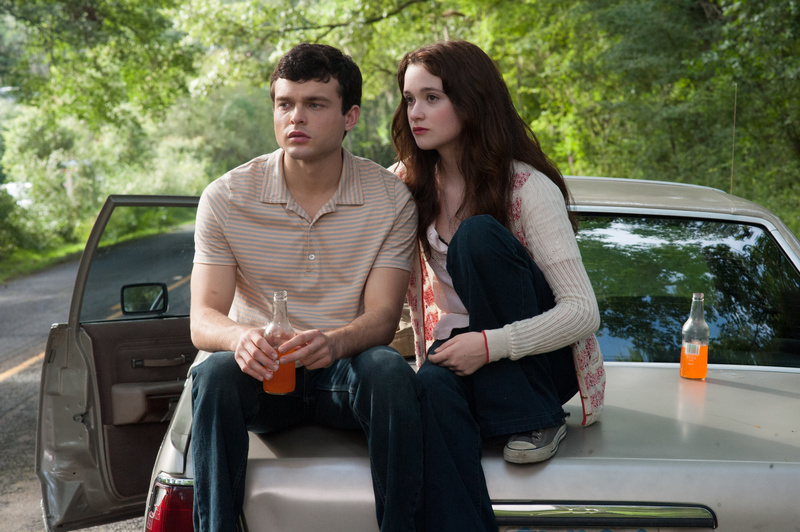 NEW YORK (CNS) — On its surface, the gothic romance “Beautiful Creatures” (Warner Bros.) comprises a passable if pretentious blend of supernatural elements reminiscent of the “Twilight” franchise and a lush setting straight out of a Nicholas Sparks adaptation. But a mixed religious outlook makes the occult elements underlying writer-director Richard LaGravenese’s screen version of Kami Garcia and Margaret Stohl’s 2009 novel more troubling than they might otherwise seem. In fact, few in the targeted audience of teen date movie consumers are likely to possess the discernment necessary to bring this kaleidoscope of positive and negative spiritual attitudes into proper focus. Viewed from the perspective of restless teen Ethan Wate (Alden Ehrenreich), life in the small town of Gatlin, S.C., is nothing short of a nightmare. Overrun with churches and populated by moronic, book-banning evangelical Christians, it’s a venue of stultifying boredom. All that begins to change, though, with the arrival of mysterious new-girl-in-town Lena Duchannes (Alice Englert), for whom Ethan quickly falls. Since Lena’s blue-state cultural tastes obviously make her “different,” her blinkered classmates and their equally close-minded parents jump to the ridiculous conclusion that she’s a witch. Thing is, they’re right. But Ethan is no disapproving Darrin Stephens of “Bewitched,” so this revelation doesn’t bother him a bit. Still, it’s not all monotony-breaking fun and games for Ethan and Lena. Their heterogeneous relationship draws the steadfast opposition of Lena’s warlock uncle and guardian Macon Ravenwood (Jeremy Irons); it also places them at risk due to the schemes of her spell-casting mother, Sarafine (Emma Thompson). Appropriately, given that he’s 17 and she’s approaching her 16th birthday — a pivotal event in the life of a young witch, so we’re told — Ethan and Lena’s physical interaction is generally restrained. One scene, however, does end ambiguously enough to leave the audience wondering whether their onscreen necking leads on, after the cut-away, to something less acceptable. In the case of Ethan’s best pal, Link (Thomas Mann), plot complications and writhing visuals leave us in no doubt that he has been seduced, as well as bewitched, by Ridley (Emmy Rossum), a troublemaking relative of Lena’s. By contrast to the mercilessly caricatured Anglo-Saxons of Gatlin, the burgh’s African-American librarian Amma (Viola Davis) is enlightenment personified. Thus she blithely combines her role as a custodian of conjuring lore — as well as her practice of seeking guidance from deceased ancestors after placating them by placing tidbits of their favorite foods on top of their graves — with faithful church attendance. The wrap-up does celebrate the power of sacrificial love, a theme obviously in keeping with scriptural faith, and even a local preacher’s sermon is used to reinforce this message. But by then, most of the Christians of Gatlin have been shown to be so hateful — and witchcraft portrayed as so much fun — that impressionable viewers may be too confused to pick the wheat from the chaff. The film contains an ambivalent portrayal of Christianity, brief sacrilegious behavior, restrained scenes of violence with fleeting gore, semi-graphic nonmarital sexual activity, at least one use of profanity and some crude and crass language. The Catholic News Service classification is L — limited adult audience, films whose problematic content many adults would find troubling. The Motion Picture Association of America rating is PG-13 — parents strongly cautioned. Some material may be inappropriate for children under 13.